Hewlett Packard - 313370-005 HP/COMPAQ - HOT PROLIANT 1 U320 TRAY (313370-005). NEW. IN STOCK. SHIP SAME DAY. Compaq - 412210-001 HP/COMPAQ - PROSESSOR HEATSINK FOR PROLAINT 1U RACK SERVER DL360 G5 (412210-001). IN STOCK. SHIP SAME DAY. Compaq - 410749-001 HP/COMPAQ - PROSESSOR HEATSINK FOR PROLAINT 1U RACK SERVER DL360 G5 (410749-001). IN STOCK. SHIP SAME DAY. 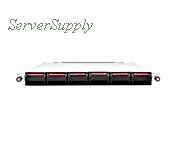 Intel - SR1350ENA INTEL - 350W 1U RACK MOUNTABLE SR1350 SERVER CHASSIS (SR1350ENA). NEW. IN STOCK. SHIP SAME DAY. Compaq - COMPAQ 1U RACK-MOUNTABLE 4-PORT SWITCH BOX PN: 242696-001. Intel - KCR INTEL - 1U RACK MOUNT SR1200 SERVER CHASSIS (KCR). NEW. IN STOCK.SHIP SAME DAY. Hewlett Packard - 253214-B21 COMPAQ 1U BLANKING/FILLER PANELS PN: 253214-B21. GRAPHITE 10 PER BOX. FOR 10000 RACK. Compaq - 147094-001 COMPAQ 1X8 PORT 1U KVM CONSOLE SWITCH PN: 147094-001. 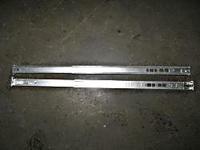 Compaq - 215852-B21 COMPAQ 1U/OU PDU MOUNTING KIT. PN: 215852-B21. Hewlett Packard - 403721-001 403721-001 HP 2bay Rack Mount Chassis 1U. New Bulk Pack. Hewlett Packard - 380314-B21 HP/COMPAQ - 1U POWER ENCLOSURE WITH 2 POWER SUPPLIES COMPATIBLE FOR PROLIANT BL P CLASS BLADE SERVER (380314-B21). REFURBISHED. IN STOCK.SHIP SAME DAY. Compaq - RKP115E 15INCH 1U RACKMOUNT LCD MONITOR & KEYBOARD DRAWER PN: RKP115E MADE BY ITECH.